Rapaport was born and raised in Israel and after her service in the IDF’s entertainment groups decided to move to Los Angeles to explore her professional future and start an impressive music and business career. To learn more about Gilat press here. InJoy was established by Gilat Rapaport in year 2000 in Los Angeles, CA and has been rapidly growing since. InJoy was born with the passion for live music and the commitment for exceptional customer relations flowing in its veins. In March of 2013 InJoy was named one of the Best Wedding Bands in Los Angeles by CBS LA Network. 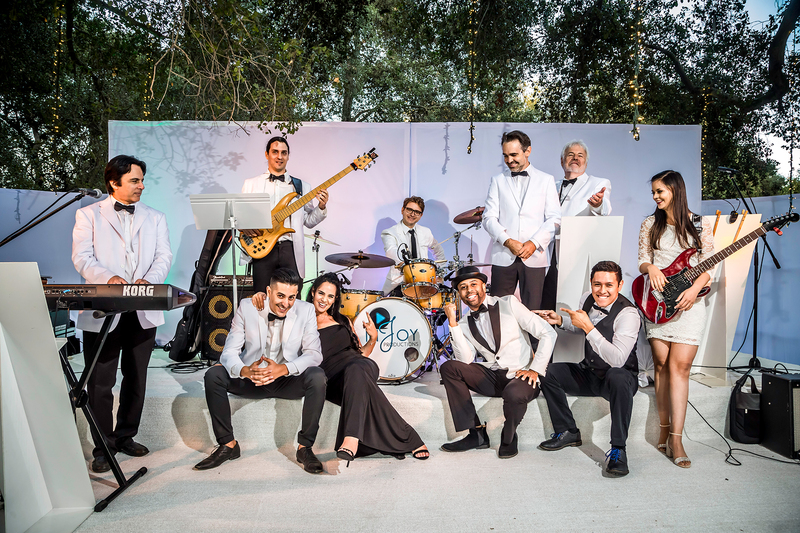 InJoy Productions is the home of JEWEL, an international 6 to 15-piece band which caters to American, multi-cultural, or Jewish weddings, Bar/Bat Mitzvahs, Galas and corporate events. Aspiring to create a cultural bridge among all types of crowds, JEWEL performs the right balance of ALL styles, languages, and genres you would have in your event. To learn more about JEWEL, please press here. There is no complete show without the technical top-notch equipment and engineers to support it! That’s where the production side of it kicks in! Keeping excellence in mind, InJoy demonstrates top of the line Sound and Lighting services to complete all aspects of the show. To learn more about sound, lighting and staging, press here. There is No Place Like Home, but we’re always open to exploring new places and cultures!! As an international company, InJoy is accustomed to traveling to Destination weddings and other events. InJoy will take care of all traveling arrangements for you and will make sure you come to your event relaxed and smiling. To learn more about Destination, press here. InJoy also offers custom performances and custom music videos that will give your event its uniqueness and individual flavor. Learn more about custom ceremonies here. Learn more about custom music videos here. Every event is different- Let InJoy make all the difference for you! Your event is not like any other, it is unique. All the better- INJOY embraces “different” so its team will cater to whatever needs you might have and create that bridge you want for all the different and specific elements you’ll have in your wedding. InJoy has been working relentlessly to make sure that each event we do is taken care of with the attention, love, and energy it deserves in order to make it truly meaningful and successful. The secret is the passion we have for music and for making people happy.